I grew up clinging to the lowest middle class rung. My younger brother, Wendell, was born with cerebral palsy. His medical needs drained my family emotionally and financially. My parents struggled to pay our bills, but we scraped by most of the time. For my two sisters, my brother, and me, we celebrated three kid holidays a year—our birthdays, Christmas, and Income Tax Refund Day. These special days were the only days we received gifts or new things. We went out to dinner at Sizzler or Wyatt’s Cafeteria. We got new jeans and shoes. Sometimes, we got toys and books. Over the years, we filled two shelves with Charlotte’s Web, Little House in the Big Woods, Judy Blume, Nancy Drew, Wind in the Willows, The Velveteen Rabbit, and Where the Wild Things Are—I can still see each one in my memories. We treasured the few books we owned and kept our reading lives fed with our library cards most of the year. Our parents knew we needed to read. Besides, the library was free and we could walk to it. When I was thirteen, our house burned down. I remember standing in our yard watching it burn. We all cried because our guinea pigs died. I cried for our books, too. We moved in with my dad’s mom for a while. She made us watch televangelists all day. Grammer owned rows of Reader’s Digest Condensed volumes stored in her dining room. If she was in a good mood, she let us read them, but she warned us not to read anything sinful. It was the longest summer of my life. On the third day of seventh grade, my dad had a heart attack at work. My parents were waiting until payday to install a phone in our new place, so my dad’s boss sent the police to our house to get my mother. I vanished into shadow in middle school. My grades were mostly good. I never measured up to my classmates, but I was smart. I had that at least. I sat in the back of the class, reading used paperbacks out of my desk. My teachers let me get away with it. My husband, Don, grew up on his library card, too. The first book he owned came from the RIF mobile. 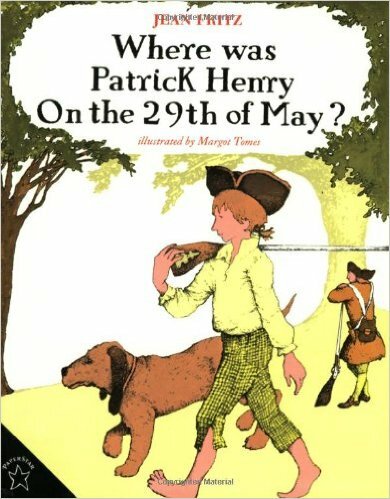 He still remembers the title, Where Was Patrick Henry on the 29th of May? by Jean Fritz. When Don was seventeen, he worked as a library page at the Belle Isle Library in Oklahoma City. He made $5.00 an hour and all the books he could carry. Don was responsible for shelving 000-499. He read piles of books on philosophy, religion, mythology, and dreams. Don and I lived privileged childhoods because we had books. Books as gifts. Books as escape. Books as shield. Books as solace. Books as education. Books as self-agency. I cannot fathom what my life would be like now if I hadn’t read my way through childhood. Don feels the same. Because Don and I were lucky (white) enough to live in middle class neighborhoods with good schools, we had opportunities denied to many other children. Don and I read our way to better lives because we had books to read in the first place. Many children raised in poverty—disproportionally children of color—grow up in communities without meaningful, consistent access to books or positive reading experiences. Begin school with adequate early childhood literacy experiences like read alouds and vocabulary exposure. Attend schools with experienced, certified teachers and librarians. Attend schools with adequate school and classroom libraries. Live in neighborhoods with public libraries and bookstores. Receive literacy instruction delivered through test prep, scripted programs, basal textbooks, and worksheets instead of authentic literature. Experience gaps in schooling because of instable housing and unemployment. Drop out of high school with poor literacy skills. Reversing the lack of accurate, inclusive, affirming portrayals of diversity in children’s literature is long overdue, but writing and publishing more diverse authors and stories only takes us so far if children never see these books. As a global community, we cannot continue to accept or perpetuate inequities limiting children’s open access to books. In a twenty-year study at the University of Nevada, Reno, seeking to identify what influences the level of education a child will attain, researchers found that children with access to 500 books achieved three more years education than children without this access. Book access is the game changer for our children. Access means all children have books to read. Access means all children have books that accurately reflect and acknowledge their experiences, and the experiences of people with different stories to tell. All children deserve access to their full promise through the improved opportunities literacy provides. The books we create (or don’t), sell (or don’t), buy (or don’t), shelve (or don’t), read aloud (or don’t), assign (or don’t), and promote (or don’t) shape the narratives our children write about our world and themselves. What do our stories tell us about who we are? The division and hatred scrolling across our screens 24/7 fill many of us with impotence and despair. Will it ever get better? Can we make a difference? Can we ever learn to love each other? If we hope for a better world through our children, literacy provides us with the best chance we have to change things. Don and I get on our knees in gratitude for our blessings every day. We live in the house that reading built. We improved our circumstances because reading helped us overcome a tough start, and we try to repay this debt every day. Reading can help all of us write a different story. **In this season of gratitude, I encourage you to support nonprofit literacy organizations and charities that increase children’s educational opportunities and access to books. Through donations and volunteerism, we can make a difference. I have listed a few organizations below, which I have researched to the degree possible using Charity Navigator, a rating service for non-profit entities. *Full disclosure, I sit on the Boards of both Changing Lenses/ Changing Lives and The Book Love Foundation. The profits from the Nerdy Book Club Cafe Press store are donated to Reading Is Fundamental every year. Donalyn Miller has taught fourth, fifth, and sixth grade English and Social Studies in Northeast Texas. She is the author of two books about encouraging students to read, The Book Whisperer (Jossey-Bass, 2009) and Reading in the Wild (Jossey-Bass, 2013). Donalyn co-hosts the monthly Twitter chat, #titletalk (with Nerdy Book Club co-founder, Colby Sharp) and the Best Practices Roots (#bproots) chat with Teri Lesesne. Donalyn launched the annual Twitter summer and holiday reading initiative, #bookaday. You can find her on Twitter at @donalynbooks or under a pile of books somewhere, happily reading. Great post Donalyn! I agree with you. Reading is the fundamental block that needs to be established for later learning to ensue. I’m going to look into these charities. Thanks for the information. I routinely devour every word you write, Donalyn, and this post was no exception. 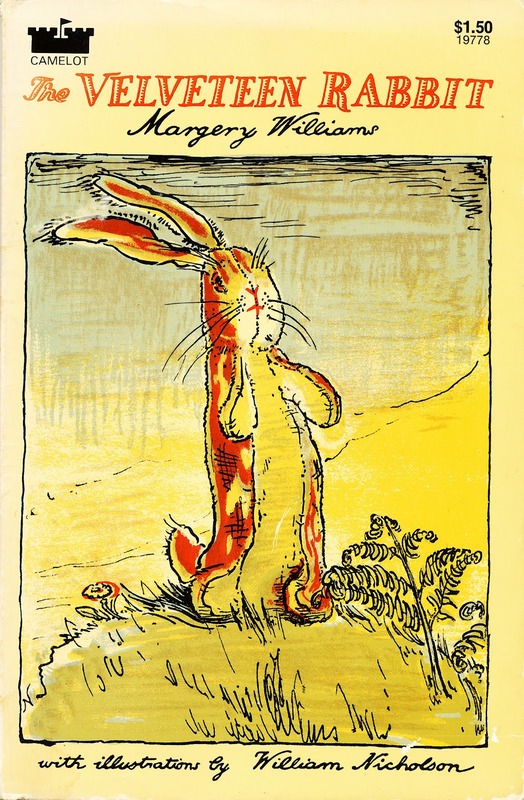 I have long admired you and that admiration grew to even greater heights after hearing “the rest of the story.” Thank you for the list of nonprofits that provide books for ALL kids – particularly those who have so little. I believe every educator can (and should) contribute something to at least one of these very worthwhile organizations. Donalyn, This is one of my most favorite of yours posts ever! While, I continue to build my classroom library in the Title 1 school I just began working at, I am very aware of some students that I have that listen to me speak of “the house that reading built” for me and so many others; but they don’t actually hear me yet. I am going to share your post on Monday. And I know many will start to hear and understand my words differently because of yours. Thank you for sharing with us. I can relate to your beautifully written post. I too grew up in a home where we did not have a lot of extras but we always had reading. I would visit the school library because we did not live in town and I did not have access to any other books. I can remember being so excited about visiting the library and choosing my imaginary escape for another week. I now try to share and promote my love of reading with my students and promote the importance of reading in our families. Thank you for inspiring others to promote the love of reading. I agree it is one of the best ways we have to ensure future success of our children. Thank you for sharing such a touching story. I appreciate the list of nonprofits that provide books for children. It is amazing how much the “power” of reading can change someone’s life. You are such an amazing person. I loved hearing the story of how your “reading house” was built, Donalyn. That story has created ripples felt in many communities. I know that you’re continuing to share the love and importance of books in even more ways through your new work. Thank you, and for the list of organizations too. When I taught, my students collected books for an organization called Reach Out and Read, where children are given books at their well check-ups. We had a clinic that participated right across the street from school. It was good to see these middle grade students manage a program that put books into the homes of younger children. Thanks again. Thanks for this wonderful heartfelt post supporting books and libraries! I’ve shared your article with my NJHS students. I am hoping they take the lead on a book drive at our school. You are truly an inspiration to all of us. I have been following you on twitter for a year now, and always admired you, but this is taking things to a new level. This post is so personal, so beautifully written, so important. No pointing fingers (although there is a time and place for that too) and no anger, just a kind of “roll up our sleeves and get to work” attitude which is the best way out of where we are now. This affects me as an author, a father, and well…a human being. Bravo. Your life journey sounds extraordinary and far more compelling than a shelf full of middle grade books. Long may you write and inspire others. Thank you. Best thing I’ve read in days. Thank you for this! Great post. That’s why I’m doing my best I can to help get books to kids. Thank you for your post. I couldn’t agree more. My tiny town library certainly changed my life. Unfortunately the loss of school libraries and librarians (70% in my state) mean students access to books is decreasing not increasingly. I cried while I read this Donalyn. Some of my first and best experiences as a child before I got to know people who were different from me, came from the people I met in books. i really identified with your post and can’t wait to hear you speak in Red Deer, Alberta! This makes me admire you even more. I’m sharing this post widely. Thank you. Thank you for your moving personal story. I am a library media specialist in a high poverty elementary school. In recent years it seems that what I do all day is viewed as unimportant because, after all, it’s all about raising test scores and improving the school report card grade (which is determined by the income level of parents whether anyone admits it.) Please keep speaking for literacy and fighting the good fight for librarians in public schools. The trend is to do away for that “extra” by people who do not realize that a school library is likely the only source of good literature for poverty level children. This is such an important post. So honest. You might enjoy this article which will be around FB for a while, I am sure. http://www.theguardian.com/society/2014/nov/08/happiness-childhood-emotional-health-richard-layard There is so much connected to the way kids have the chance in childhood to develop their strengths and meet their needs. I had a huge classroom library beginning in 1987. I think they are essential. But getting books to kids in families who really need them is vital. I would like to create a list of 3 or 4 books I would give to all new parents. One is Opening Minds by Peter Johnston. There are so many but if we can reach these new parents and also put books for their kids in their hands and free visits to a library, too, we could begin to make a difference.We do need to help those kids whose families might not have the resources to buy books for their children. Thanks for your links, your post and your strength. Wide reading is also vital. Thanks for this wonderful blog post. I look forward to sharing it with the teachers at my school and my school librarian colleagues! Thankful for books, for reading, and for everyone who shares the magic of reading and books in our lives. God bless you and your families for giving you the gift of books and the love of reading. Your story is so poignant and the stats so heartachingly true. I am sharing. Such a beautiful and powerful post. You are so inspiring. Thank you for validating our work on behalf of children’s literacy. I wanted to recommend two other organizations: First Book (gets high ratings from Charity Navigator) and has enabled my school to purchase/receive wonderful books for our students at a deep discount. I also support the Family Reading Partnership in Ithaca, New York. They publish a beautiful children’s book-themed monthly calendar every year and they do great work in the Ithaca area. Thank you for sharing more organizations that support children’s literacy! Great post. Read, read, read, share, share books, and more books. Love this post!!! Thank you so much for speaking of white privilege. It is so important to understand what a difference our white skin and comparative wealth make in this society. And LFL donated 4 libraries to An Open Book Foundation so that we can put them in underserved schools. Book clubs at the selected schools them stocked with excellent books supplied by An Open Book. All of the librarians at the selected schools are overjoyed! This post is brilliant. Absolutely brilliant. I have nothing else to say, except, THANK YOU. Wow. Thank you for writing this. Such a moving piece. I will be sharing this. What a beautiful literacy narrative! Thank you for writing it. I was so sad to learn upon moving here that unfettered access to books at the library in Portland, Oregon is not the norm for the public library system. Spoiled by Indiana and Chicago. Thank you, Donalyn, for continuing to speak for all our children and the possibilities that can only be realized if we all act. Tears are running down my face because this matters. Thank you for writing this post Donalyn, what a powerful testament to the great gift of literacy. I volunteer for a nonprofit that brings authors and their books into underserved public schools in New York City – to the very kids you mention in your post. With access to authentic literature and engaging literacy opportunities, you’ve struck at the heart of what matters most to the students I’ve met through Behind the Book. I hope you’ll remember this organization too. http://www.behindthebook.org . I’d like to add our 5 year old Washington DC metro area based nonprofit to your list, An Open Book Foundation. We take children’s and teens’ authors and illustrators to any school in the DC metro area where at least 50% of the students receive federal free or reduced price lunch. Sadly, that is all but a handful of DC schools. After the event, we give each child a copy of the author’s book, which he or she gets lovingly autographed by the author. It is often the first book the child has ever owed. And the first time the child has ever met and author or illustrator or even though about the idea that a real person draws and writes books. We also give a collection of the author’s books to the school library and the classroom libraries so that even more children have access to them. None of our work would be possible without the generosity of the 100 or so authors and illustrators who donate their time every year, and of the people who donate funds so that we can buy the books we donate. Thank you for sharing your story and for highlighting the reality for children living in poverty when it comes to literacy and learning. I am sharing this with my principal! This is a wonderful post. A friend of mine started an organization in Houston — Books Between Kids — that hosts “book fairs” in schools with kids with low incomes. They collect books and the kids get to come and “shop” (for free) and leave with 3 books they pick out to keep. For many kids, it’s the first book they’ve ever owned. As a child in poverty – including foster care and group homes – books altered the course of my life. They enabled me to envision a life very different from my current situation. Through books I experienced many different versions of life and encountered and built relationships with so many people!! I am grateful for the opportunities I have had and that I am now able to support and encourage children as they become readers. In underfunded, high poverty schools, much credit should go to teachers who keep well-stocked classroom libraries. They pay for these books out of their own pockets. As a teacher with a huge classroom library that I purchased myself over the years, I agree! Thank you, Donalyn, for sharing your personal, powerful story. Books saved my life as a kid. Don’t know what would have happened if I hadn’t had wonderful public and school libraries and endless piles of books to live and grow through. Donalyn, I met you at your Reading in the Wild workshop at Lord Fairfax Community College in Middletwon, Virginia. I have since subscribed to several of your recommended blogs, etc., but no one writes about books and reading quite the way you do…you write the way I feel about books and reading, but have never sat down an put into words as eloquently as you do! I am in awe. I had a similar childhood, and books saved me too. You were able to capture that time without making it seem pathetic or weird. I never lived it true poverty but definitely lived on the edge. It has made me grateful, as well, and a better teacher. Thank you for inspiring me. Great post! I was raised on books too – they were in every room of our house and what we didn’t have, we borrowed. They are in my blood, and have definitely played a huge part in who I am today. As important as it was to have access to the books, I think my Mum also played a huge role – her love of books was infectious. She read them to us tirelessly, took us to libraries frequently and always spoke about them passionately. And when she wasn’t struggling to make ends meet, knee deep in chores, she could be found in a corner somewhere, in the land of fiction, which taught me that books could help you escape. There are a lot of libraries closing in the UK at the moment, which I think is an absolute tragedy. It is such a shame that there are kids out there with no books at home, and who will now have even more limited access to libraries. But it is not just the books we are limiting their access to – we are limiting the chances they will have to be encouraged and read to by people who are genuinely passionate about literature. What a beautiful piece of writing with a powerful punch to the importance of books for all children! You give me inspiration to try harder with bookless students at my own school. Thank you. Once again I missed the chance to meet you face to face at NCTE15. Maybe next year is the year. I lead a group of students that collects PJs and books each year for our local food pantry to give to families. A small gesture, I know, but it’s something. I think we need to find more ways to promote real reading of real books in our schools. Your post has empowered me to look for a way to make a difference. Thank you for honoring libraries! I am honored to be a librarian in a Title One school and my mantra is “books in children’s hands.” Every day I wake up and think about how we can build our students’ home libraries and check out books to as many children as possible. We have a free little library and the “Book Fairy” often gives books to children in need. If it were not for our public library and parents who knew the importance of books, I would not be a librarian! THANK YOU for your work…it is very important!!! !